Traditional marketing is changing, but that doesn’t mean there aren’t ways to effectively market your brand. In order to do that successfully, you need to know where the audience is and how to speak to them. We know the majority of the audience has gone social and we know content marketing has morphed into the official language for brand communication. So here are a few content marketing tips that can be helpful when executed correctly. Your brand is the heart and soul of your company, and in order for the audience to understand who you are, you have to understand yourself first. When an audience sees your work, they should know what you stand for. For example, Martha Stewart is seen by her audience as a home expert. The media she posts relates to her brand because she consistently shares recipes, home improvement ideas, and DIY projects. People relate to her brand because it has a strong and clear stance. To do this, give your audience a focus on what you stand for and effectively continue with this same stance in all of your media. When an audience is well educated on who you are, they are able to believe in your brand and look at you as the brand expert. If there is not enough information circulating about your brand, then your audience will be just as lost as you are. Providing your audience with information they yearn for will keep them informed, interested and most importantly, satisfied. A strong title and introduction are crucial to keeping your readers hooked. The introduction should explain why you are writing about this topic, as well as demonstrate a strong knowledge on the information. 57% of marketers report custom content was their top marketing priority for 2014 (source: http://www.altimetergroup.com) so make sure you are able to write in your own style with a strong voice. If the article does not sound like you or your brand, the audience won’t be able to connect with it. If there is too much fluff in your words, you won’t be taken seriously. There are a lot of little things to think about when writing, but when looking over your post think about these three questions: is this our brand’s voice? Will my content be interesting to my audience? Is the article original? You want your audience to know your brand and to read your content, but it’s not useful unless you are consistent with your marketing. 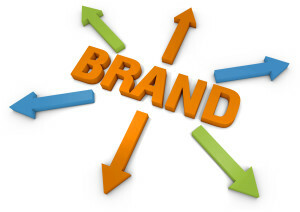 The more information being posted about your brand, the more likely your audience will see it. If you are sporadic with your posts, then they will be sporadic with reaching your whole audience. Simple things can connect people to your brand and help them stay interested. Come up with weekly posts that you can schedule on your social media sites that link to your website, blog or correlating site. According to the Huffington Post Tech “Tweets that include links are 86 percent more likely to be retweeted.” The more you reach out to your audience, the better chance you have for them to reach out for you. Keep your marketing strategies fresh and trendy. Do your research so you know what the newest content marketing strategies are and to see what your competitors are doing. If it’s working for them, make your own twist and showcase your brand, in your way. To read more about content marketing, check out our article on 4 Content Marketing Mistakes You Must Avoid.